Cranioplasty following decompressive craniectomy is of low surgical complexity, so much so that it has become the “beginners” cranial case. However, these “simple” procedures may have high complication rates. Identification of specific risk factors would allow targeted intervention to lower the complication rates. The aim of this study was to assess the rate of complications and to evaluate potential risk factors. 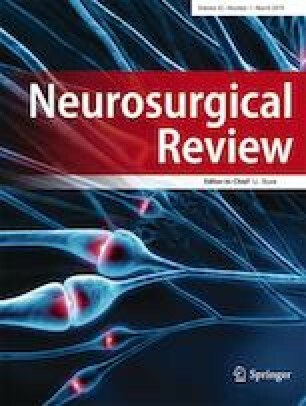 We conducted a review of all patients who underwent cranioplasty in our center following decompressive craniectomy for stroke or brain trauma between 2009 and 2016. One hundred fifty-two patients were identified. Fifty-three percent were male. Mean age was 48 (range 11–78). Median time from craniectomy until cranioplasty was 102 days (range 14–378). The overall rate of complications, such as postoperative bleeding, seizures, postoperative infection, and hydrocephalus, was 30%. The mortality rate was 1%. None of the following potential risk factors was associated with significantly increased risk of periprocedural complications: gender (p = 0.34), age (p = 0.39), cause of initial surgery (p = 0.08), duration of surgery (p = 0.59), time of surgery (0.24), surgical experience (p = 0.17), and time from craniectomy until cranioplasty (p = 0.27). The 30-day complication rate following cranioplasty is high, but serious permanent deficits from these complications were rare. We found no clear predictor for these 30-day complications, which renders its prevention difficult. Ehab Shiban and Nicole Lange contributed equally to this work. The study was completely financed by the Department of Neurosurgery.